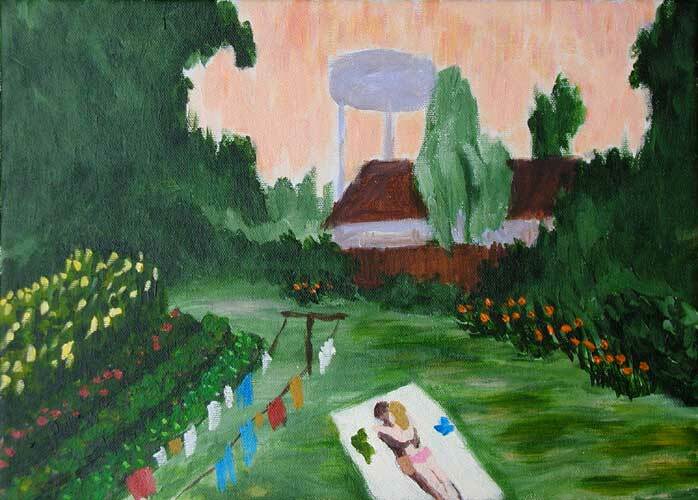 “North Mississippi Backyard Ro-mance” contemporary figurative painting. acrylic on canvas. 14 in x 10 in.